The shameful, national embarrassment in Washington, D.C., mercifully is over. Folks, we’re talking about the baseball team, here. The team was once again projected to be a World Series contender, and the runaway favorites to win the National League East. The team that had the arrogance to fire manager Dusty Baker after leading it to back-to-back NL East titles, losing Game 5 of the NL Division Series to the defending World Series champion Chicago Cubs, and tell him it simply wasn’t good enough. Now, five weeks before the end of the season, the Nationals finally have looked in the mirror and saw what everyone else has already known all year: They are the greatest group of underachievers in all of baseball, resulting in the most humiliating season in their franchise history. The Nats officially raised the white flag Tuesday and abruptly quit, letting the upstart Atlanta Braves and Philadelphia Phillies, whose talent absolutely pales in comparison, to fight for the division title. 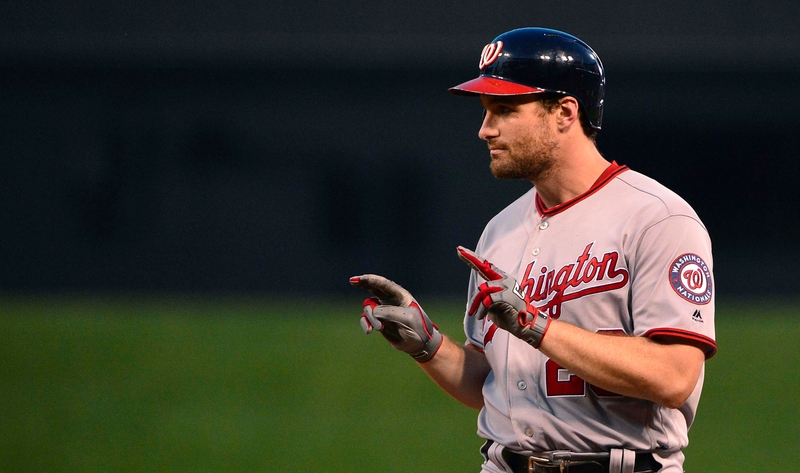 The Nationals traded three-time All-Star second baseman Daniel Murphy to the Chicago Cubs for fringe minor-league prospect Andruw Monasterio and a player to be named later, while also permitting the St. Louis Cardinals to simply take power hitter Matt Adams on a waiver claim. The deals will save the Nationals nearly $5 million. They could have let the Los Angeles Dodgers have Bryce Harper, too, but pulled him back after the Dodgers claimed him on waivers and were only interested in assuming his contract without offering any significant prospects. It was nothing more than a cover-up. The real blunder came before the July 31 deadline when they could have traded away valuable pieces such as Murphy, who’s hitting .340 with a .940 on-base-plus slugging percentage since the All-Star break, for actual real prospects. They just couldn’t face the reality that their team would continue to grossly underperform throughout August, but after being humiliated 12-1 at home Sunday by the lowly Miami Marlins, they couldn’t stand it any longer. “That was a litmus test for us,’’ Rizzo said. It left ownership no choice but to instruct Rizzo to pull the plug. The Nationals, 62-63, will tell you incessantly that their injuries created this mess. They’ll tell you about their bad breaks. Bad luck. Even bad karma. Please, enough with the excuses. There isn’t a contender in baseball who hasn’t had injuries. You think the Dodgers, who have been without virtually every key player on their team at one point, is crying for them? How about the New York Yankees, who won’t have Aaron Judge back until September? And the Houston Astros, who have been without American League MVP Jose Altuve? Anyone? Anyone? Now, with the Phillies having loads of money and the Braves loaded with prospects, you wonder when we’ll hear from the Nats again. They tell us their window isn’t closing and that they’ll make a spirited effort to re-sign Harper to perhaps the largest free-agent contract in baseball history. Yet they couldn’t win a playoff series with Harper, so they can certainly save $30 million a year and lose without him, watching him sign with the Phillies or San Francisco Giants this winter. Maybe they’ll even reload and keep on trading. Starter Gio Gonzalez and reliever Ryan Madson, free agents this winter, should be the next to go. Will they now try to pass Stephen Strasburg through waivers to see if anyone will bite? How about center fielder Adam Eaton? Rizzo insists that the Lerner ownership group will do everything they can to retain a championship-caliber team, reminding everyone in the press conference that their payroll is in excess of $200 million and that nothing will change. When you treat the peanut vendors better than your managers, discarding them like used batting practice baseballs, maybe you get what you deserve. When you dump veteran relievers, accusing them of being clubhouse moles or simply lousy selfish teammates, you shouldn’t be surprised when your bullpen implodes. When you fire Baker and hire a rookie manager, while also losing a veteran presence such as Jayson Werth, you’re going to have a void in clubhouse leadership. The players didn’t fire Baker. The players didn’t tell the front office not to bring in a clubhouse leader. The players didn’t shut down Strasburg in 2012 when they had perhaps their best chance to win a World Series, or sign him to a $175 million contract. It also won’t be the players who make the decision to bring back Harper. Maybe Harper, who has played for four different managers since his debut in 2012 without winning a single postseason series, will have to make the call whether he even wants to return. Maybe, on a dark day like Tuesday, the decision was made for him.